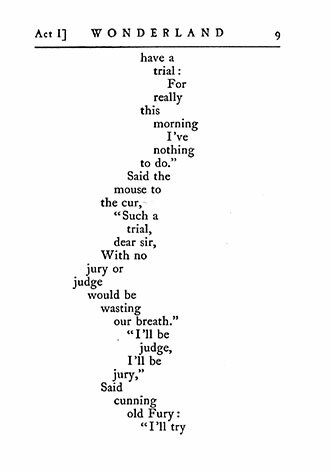 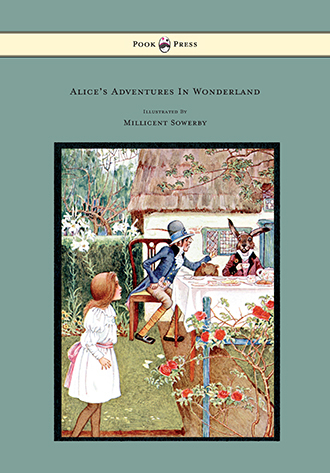 ‘Alice in Wonderland – With Illustrations by Bertram Goodhue’ is the best known work of Charles Lutwidge Dodgson (1832 – 1898), better known by his pen name, ‘Lewis Carroll’. 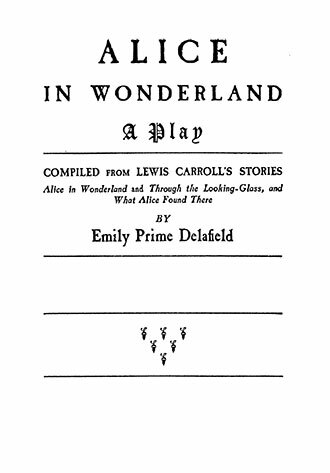 ‘Alice in Wonderland – A Play is here rewritten for children – adapted into a play by Emily Prime Delafield. 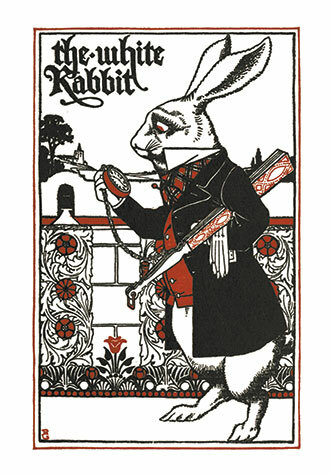 Telling the tale of a girl named Alice who falls down a rabbit hole into a fantasy world populated by surreal and anthropomorphic creatures, the book was a huge commercial success on its initial publication in 1865. 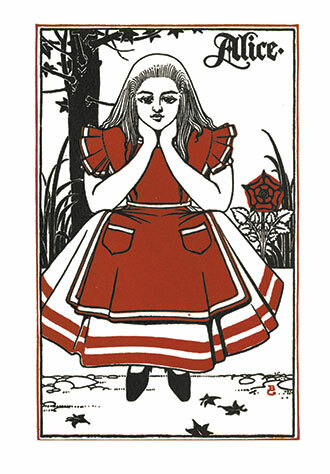 It was followed by its sequel, ‘Through the Looking-Glass, and What Alice Found There’, in 1871. 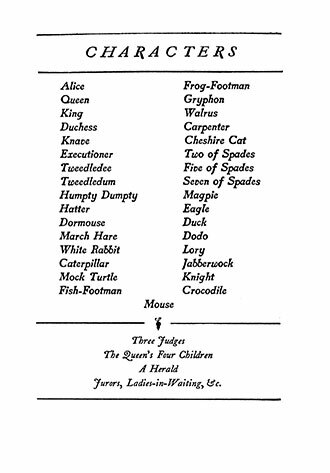 Perfectly suited for the theatre, this is a text that is sure to delight both young and old. 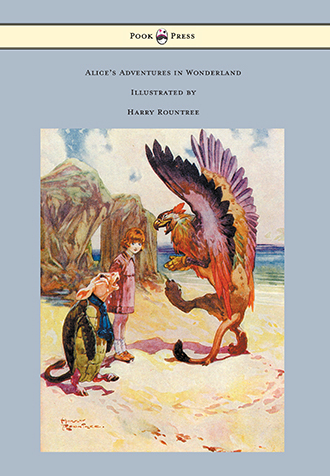 Emily Prime Delafield’s wonderful retelling of Lewis Carroll’s work, is further accompanied by the beautiful illustrations of Bertram Goodhue. 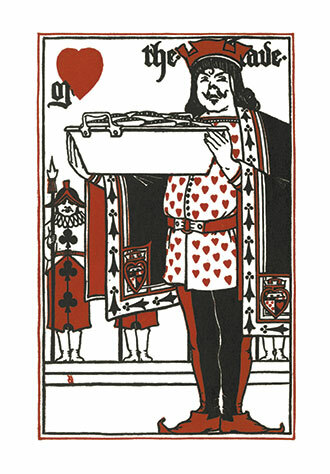 Bertram Grosvenor Goodhue (1869 – 1924), was an American architect primarily celebrated for his work in neo-gothic design, but was also an immensely skilled illustrator. 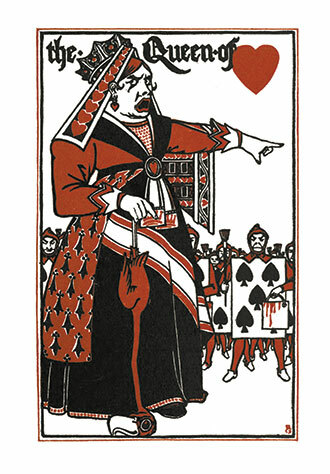 Presented alongside the text, his illustrations further refine and enhance Delafield’s dramatic storytelling. 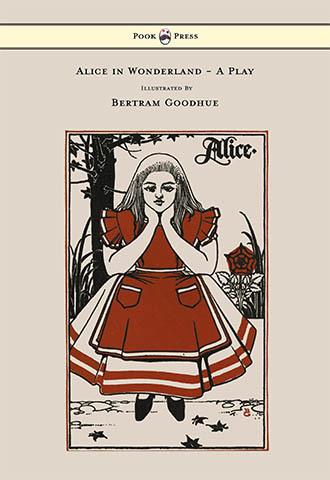 With works such as Alice in Wonderland – A Play – Illustrated by Bertram Goodhue, Pook Press celebrates the great ‘Golden Age of Illustration‘ in children’s literature – a period of unparalleled excellence in book illustration from the 1880s to the 1930s.